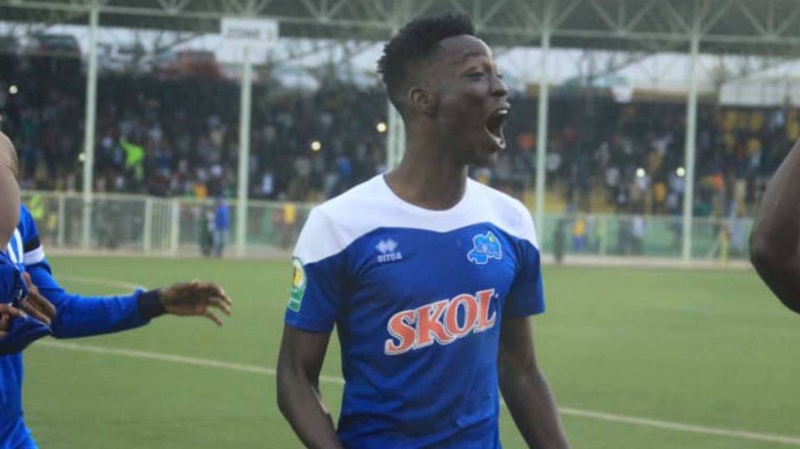 Burundian footballer Caleb Bimenyimana has been suspended for at least four matches after the Rayon Sports forward aimed a high kick at a fan who invaded the pitch during his side’s Azam Rwanda Premier League match against Sunrise FC staged on November 1 at Nyagatare Grounds. The 21-year-old Bimenyamana was also fined Rwf. 30,000 by the disciplinary committee of Rwanda Football Federation (FERWAFA) after he was found guilty of intentionally inflicting bodily injuries to the Sunrise supporter in the match that Rayon won 2-1. Kits manager for Rayon Sports Dushimimana Claude, who was also filmed beating the same pitch invader, has been handed a one-year suspension from all football activities and a fine of Rwf. 50,000. The decision to suspend the duo was reached on November 30 but was only communicated on Monday through a document signed by FERWAFA disciplinary committee president Mabano Jules. The scuffle that resulted in suspensions occurred after Sunrise scored a goal that was denied by the referee, claiming that it had been scored following a foul on a Rayon Sports’ player. A section of Sunrise FC supporters ran towards the playground celebrating the goal that was later canceled, something which irritated the Burundian player who reacted by kicking one of the fans on the chest. The match day referee immediately red carded Bimenyimana as the waiting ambulance took the injured supporter to a nearby health facility. “However, all that happened is due to the pressure we have while on the playground. When you see someone coming to attack you like that, it is not easy,” read a message on Bimenyimana’s Instagram page. Sunrise FC, who failed to respect safety and security at the home venue, will play their next Azam Rwanda Premier League behind closed doors at their Nyagatare grounds.